I developed this logo for that business interest. I designed with a sense of whimsy as well as a nod to the past. I also took into consideration any challenges that may occur with using it through letterpress printing or screen printing. 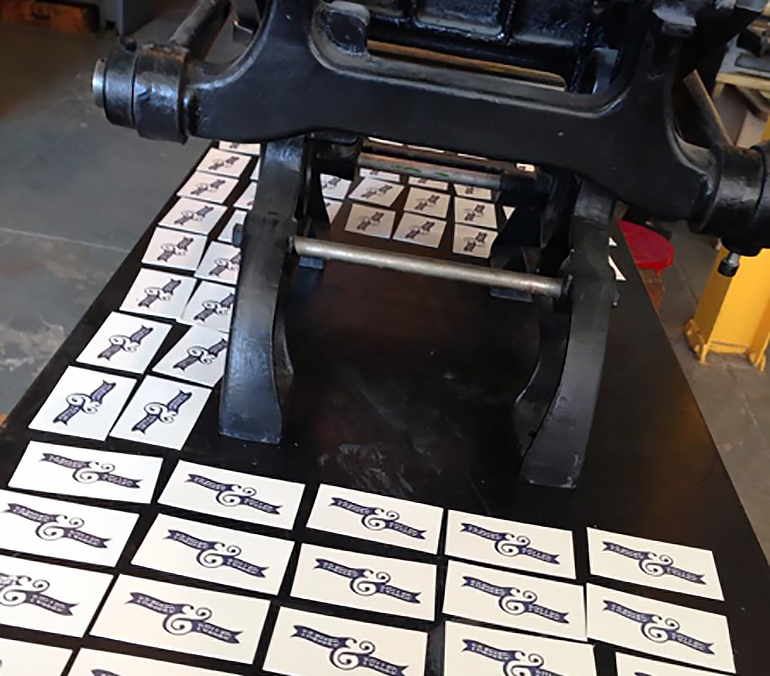 I then took the files and had letterpress blocks made of the logo and business card back. 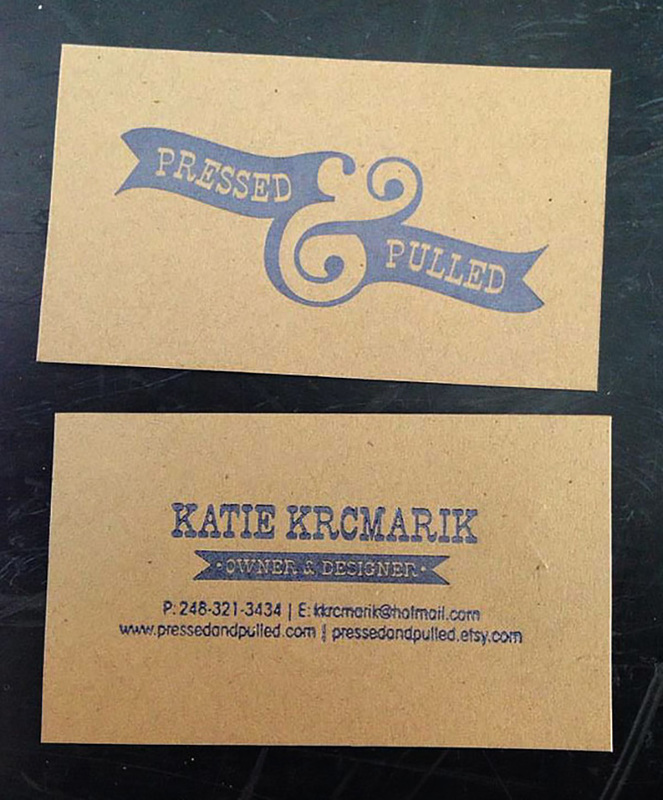 I used a platen press to print the business cards.